For men who like their bracelet to look as strong as they are we are proud to offer the men's 10mm titanium link bracelet. 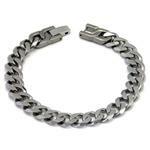 Created with 10 millimeter wide grey color high polish titanium the men's titanium bracelet weighs 110 grams. 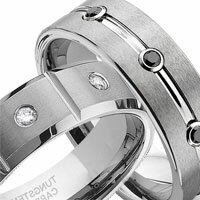 The links on this bracelet are also very masculine looking which makes the men's bracelet very attractive in its design and style. 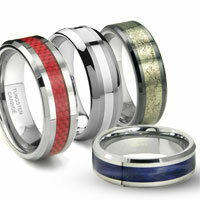 The bracelet with its striking visual appeal will look great on a man's wrist with any attire. 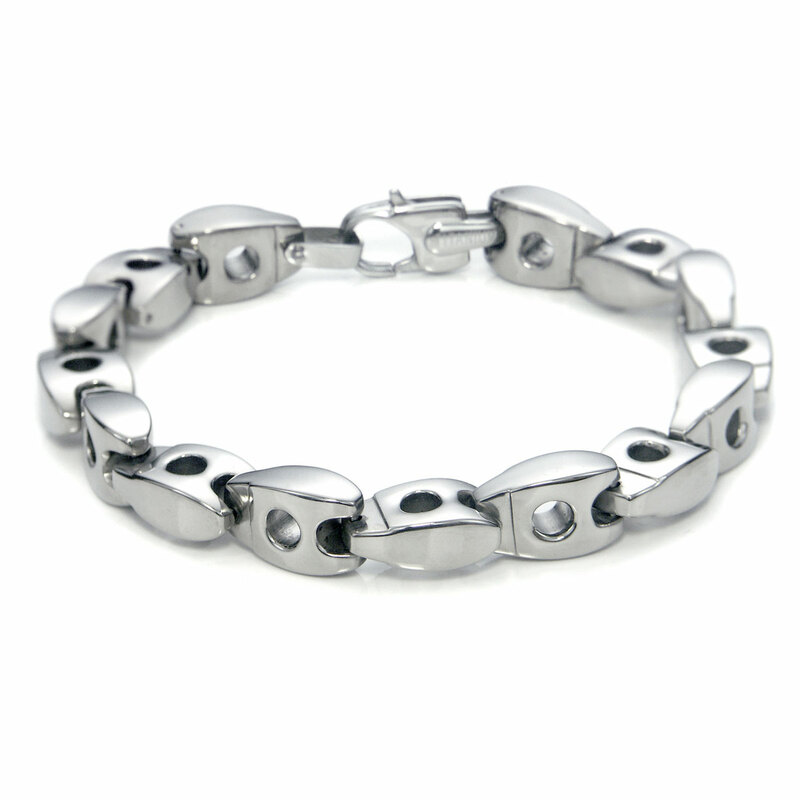 Our men's 10mm titanium link bracelet not only looks good but it also has a great low price that is affordable for any budget. 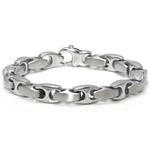 Looks, price, and the strength and durability only titanium can offer makes this men's bracelet an excellent buy. 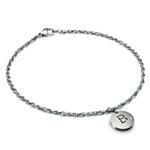 The bracelet makes the perfect gift for birthdays, anniversaries, holidays, promotions, and graduations. 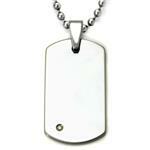 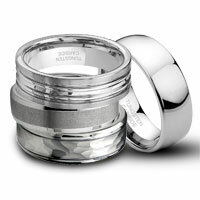 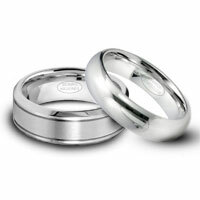 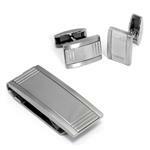 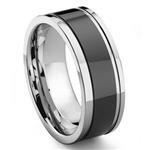 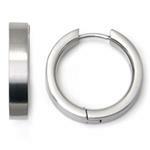 Be sure to shop our entire line of titanium, tungsten, and cobalt chrome jewelry. 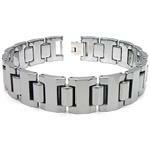 If you are a big guy like me 6'1", 265lbs?, then this is the bracelet for you. 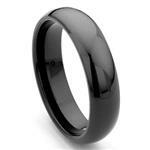 There is nothing feminine about this bracelet.